Laina’s Laundry is a shop owned by stay-at-home mom, Laina. She creates “Diapers, Leg Warmers and other Laundry” as her shop states. She sent us a whole package of wonderful things to review–leg warmers, an embellished cloth diaper, and two different types of wipes. 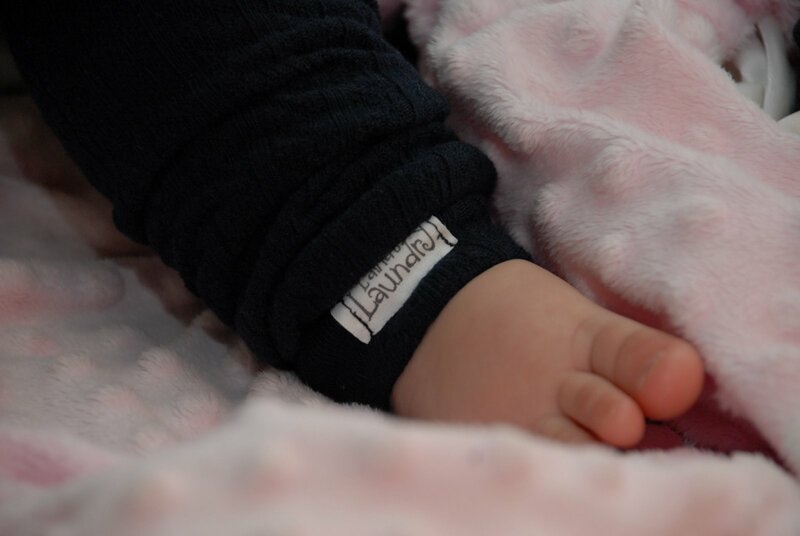 We began using the leg warmers on Amara right away…and we think they rock! They are thick, snuggly, and have elastic at both ends of the tube which means they stay in place. They haven’t pilled or shown any other sort of deterio ration from use and washing. In fact, I will even go so far as to say they are the best quality leg warmers we’ve ever used. Way to go, Laina! 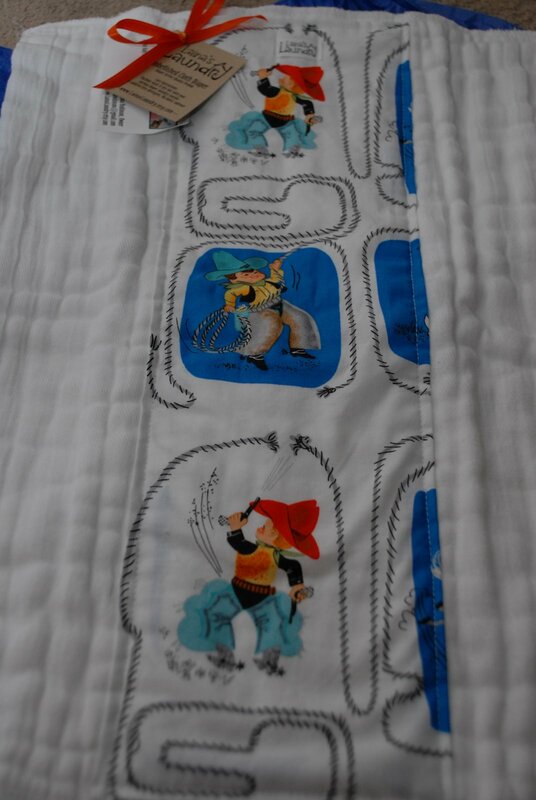 The pre-fold diapers found at Laina’s Laundry are all embellished with cute fabric, meaning that she’s sewn a strip onto the diaper’s center (on one side). It makes the diaper so much cuter and more desirable than the plain white or cream color that they come in! 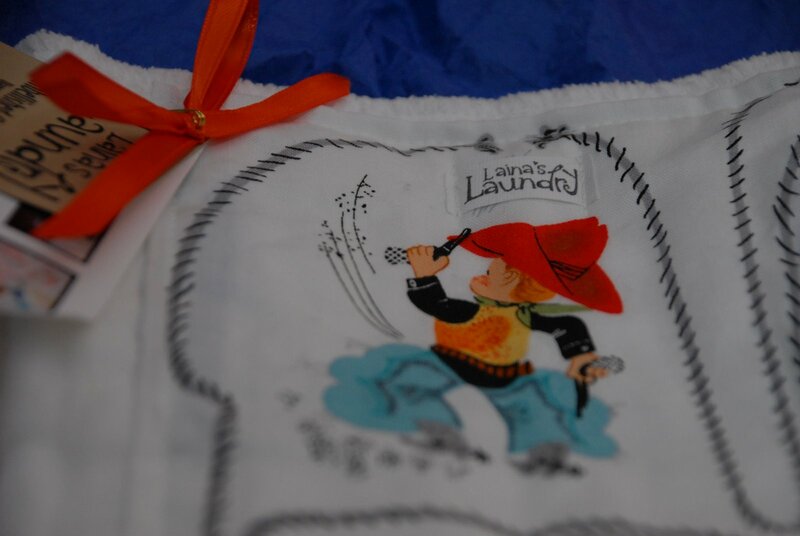 Laina’s Laundry offers a few different types of cloth “washies,” with the ones she sent us being a cotton flannel one and a flannel/bamboo valour one (would someone please send me a whole towel and washcloth set of bamboo valour?!). They’re great! Sewn carefully, made with cute fabrics, and soft as can be, I would certainly recommend them. I was just looking in her shop at the different prints that she offers for her “washies,” and they really are unique. She sent us a monkey print (flannel/bamboo) and a retro-mystery-date print (flannel). Let me end by saying a few things: 1) get a pair of her leg warmers, and 2) I’m giving away the embellished pre-fold diaper and both wipes that she sent me to make a nice “cloth diaper and wipes” package for one lucky reader. Loving the black and blue argyle leg warmers!